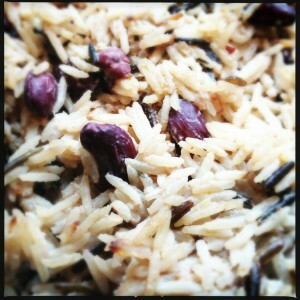 Here is a quick recipe for campfire rice and peas. This is a very hearty dish, so perfect after a day of activities. This recipe serves enough for two adults and three children. Don’t bother draining the beans, just empty the whole lot into a heavy pan. Stir in the coconut milk, water, oil, onions, chilli, garlic and thyme. Bring to the boil and stir in the stock cube. Add the rice and stir again. Boil for about four minutes, then move off the heat so the pan is just simmering and seal the lid. Simmer for about 25 minutes or until the rice is cooked.